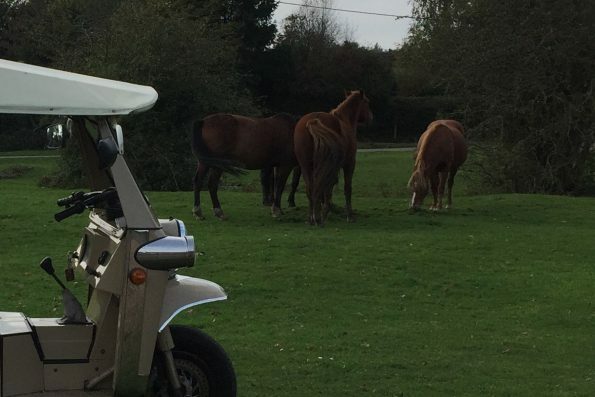 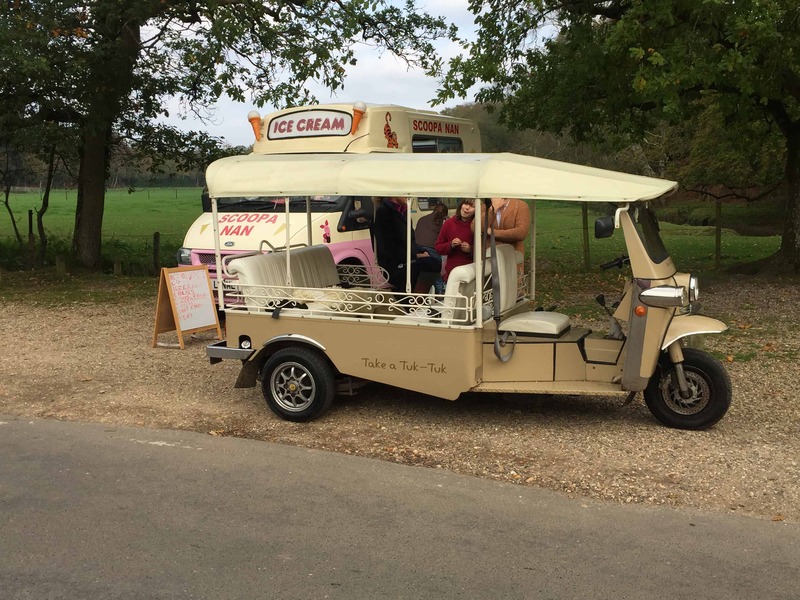 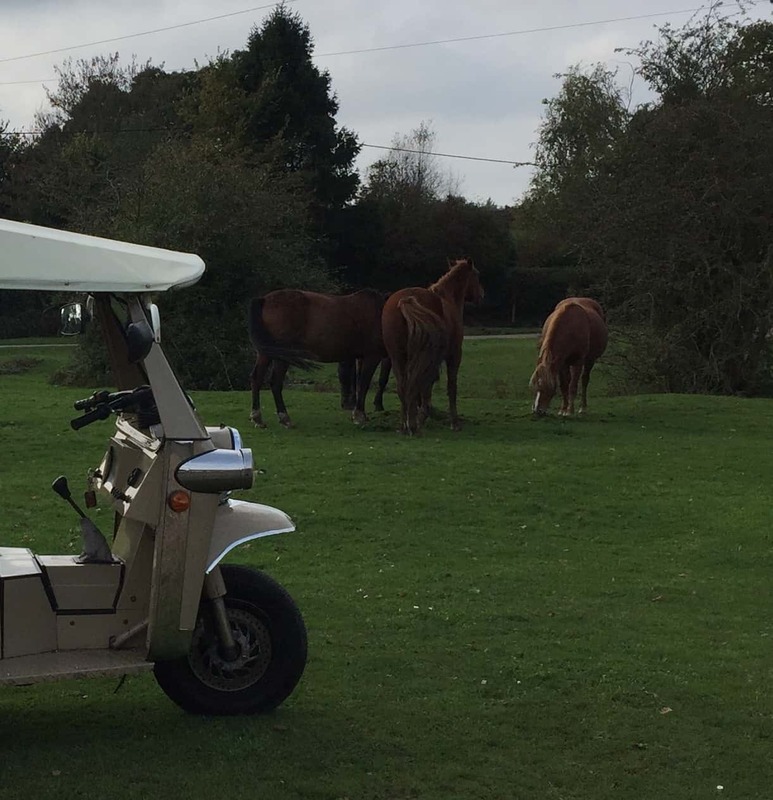 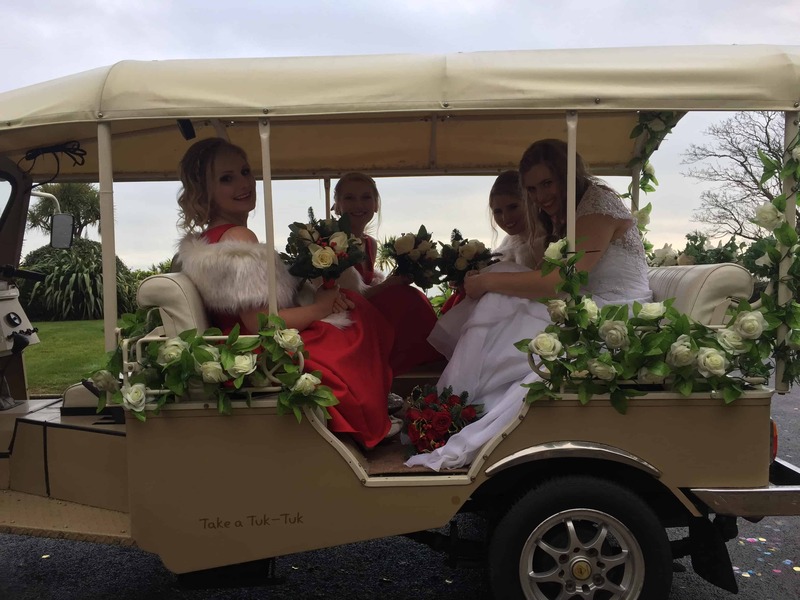 'Take a tuk tuk ltd. is a family-run business located in the beautiful New Forest area. 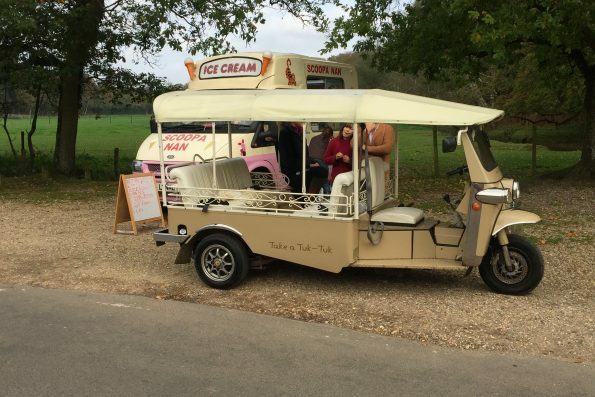 We offer a wide range of fun activities which may be tailored to your needs during the Spring and Summer months. 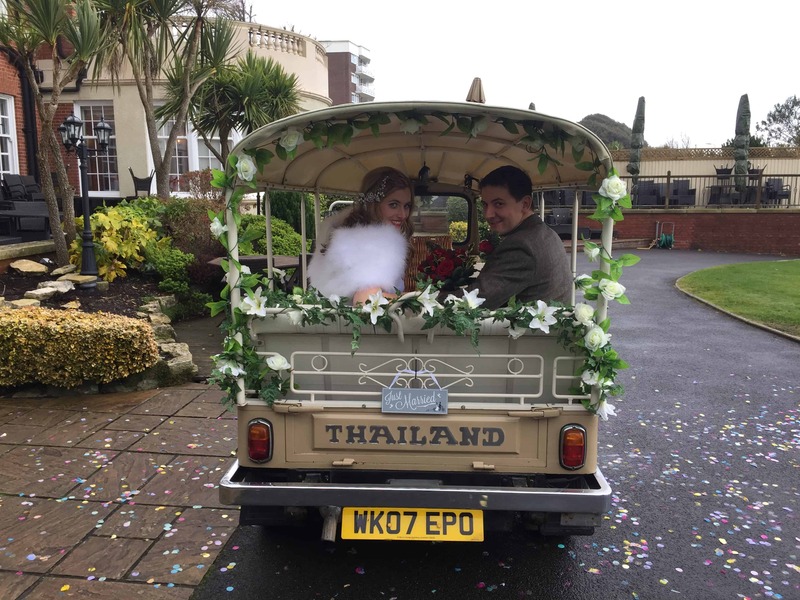 Shaun and Nikki would like all our clients to enjoy the wonderful views with a touch of Asian adventure from the open-air seats of the unique tuk-tuks. 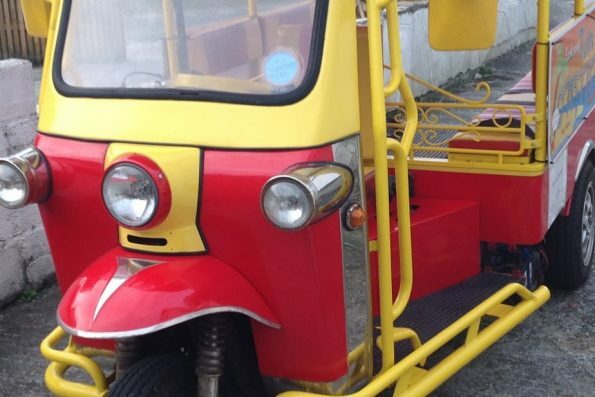 All vehicles insured as public service vehicles (PSV licences) to carry passengers. 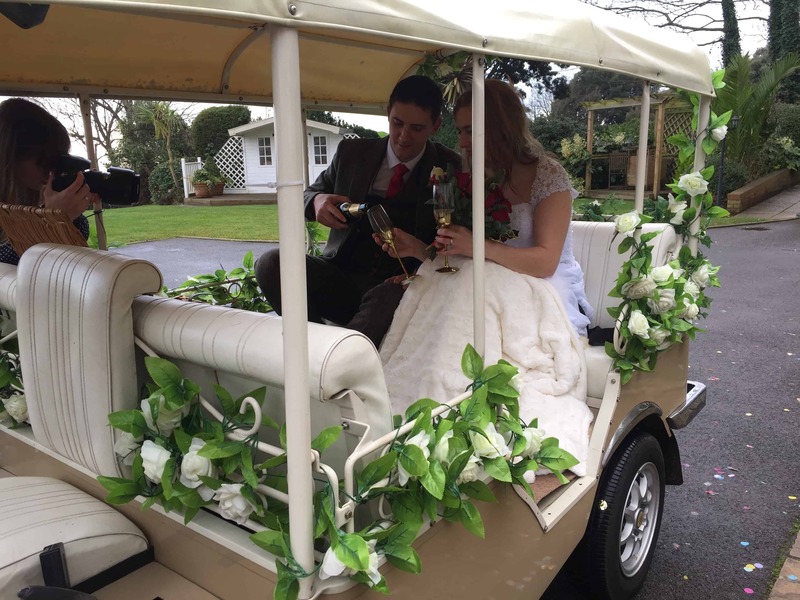 Booking by phone or email, visit us on FB, Pinterest or Instagram. 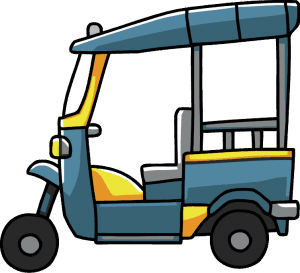 We don't have all the ideas so you might want to hire a Tuk-Tuk for something we've never even dreamed of, drop us a line to discuss. 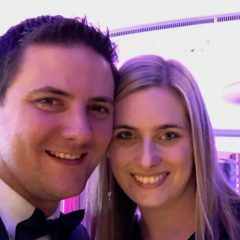 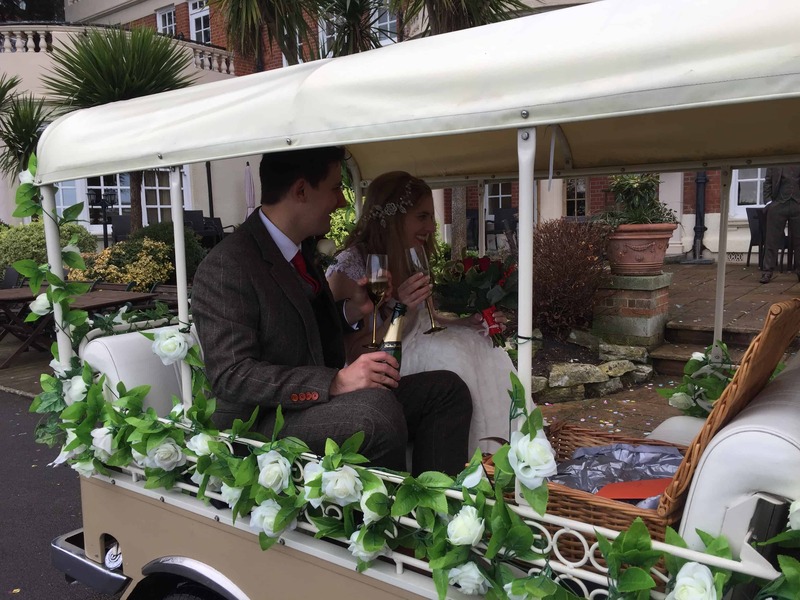 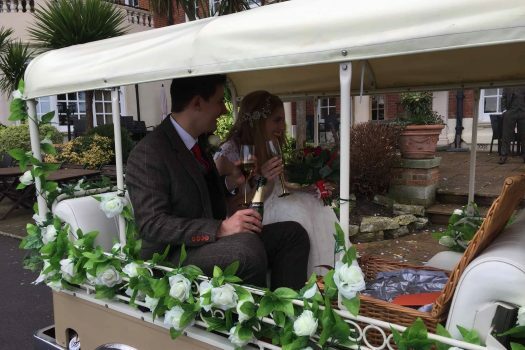 We would wholeheartedly recommend Shaun and Nikki's Tuk Tuk service. 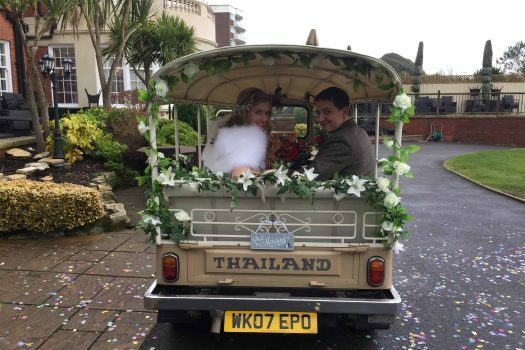 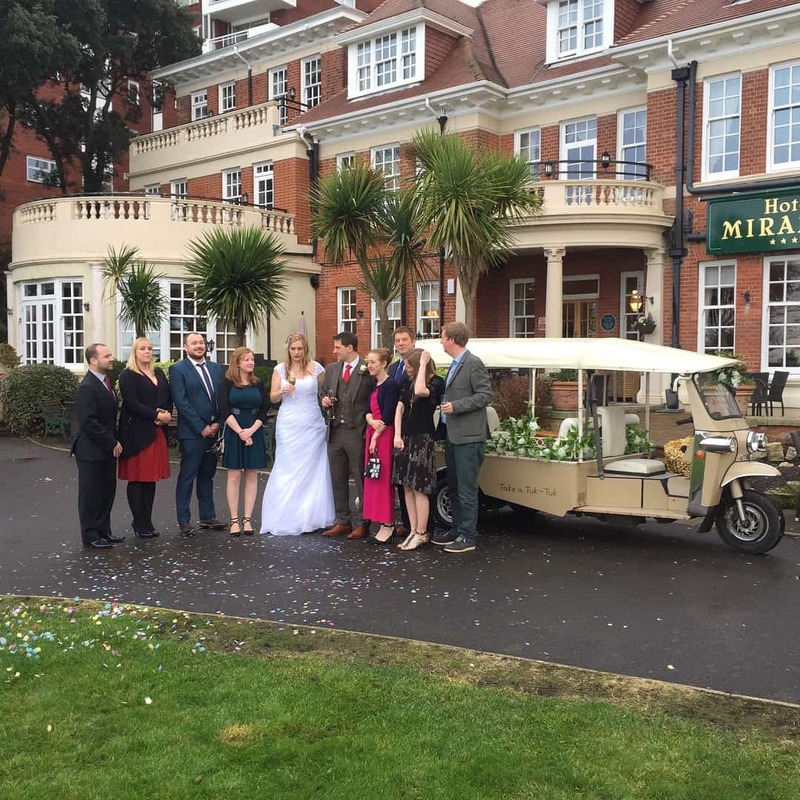 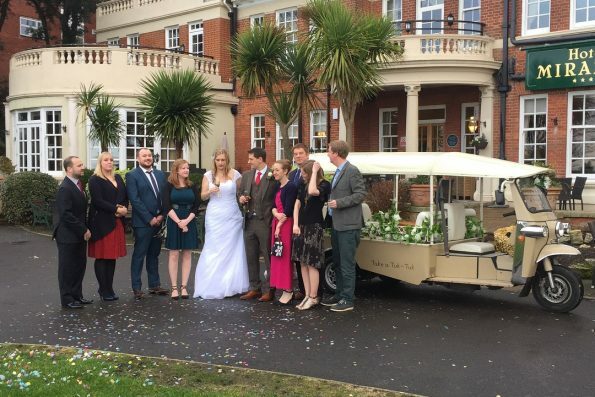 The wedding tuk-tuk literally made our wedding day! 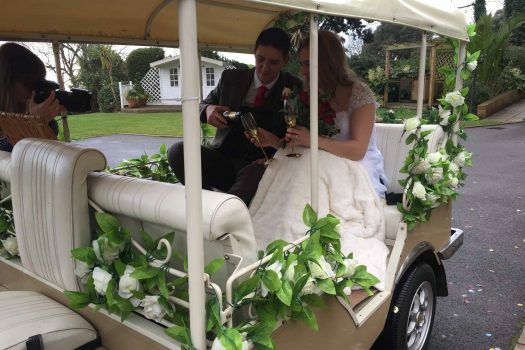 It was beautifully decorated and made the perfect transport to the beach for our wedding photos. 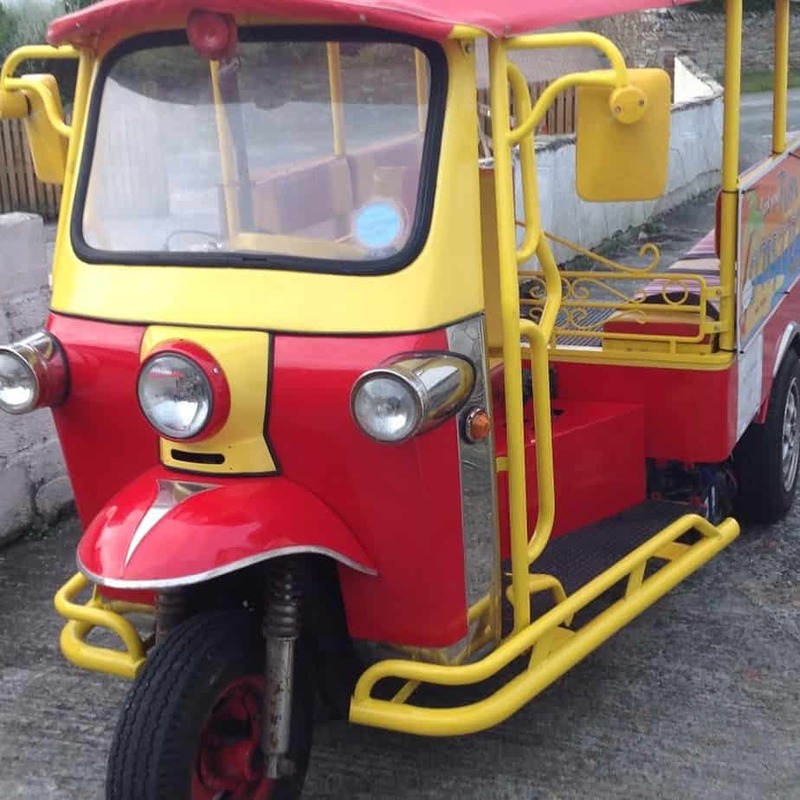 Operating throughout Spring, Summer and Autumn.